LG is kicking off Android’s jam-packed October with the V40 ThinQ. It’s LG’s fourth phone this year, following the V30S, G7 and V35, and I’ll admit I didn’t have high hopes for it. After the tremendous G6, LG lost its focus a bit. It was starting to look like it had forgotten how to make exciting phones. But the V40 could be a sleeper hit of the fall. 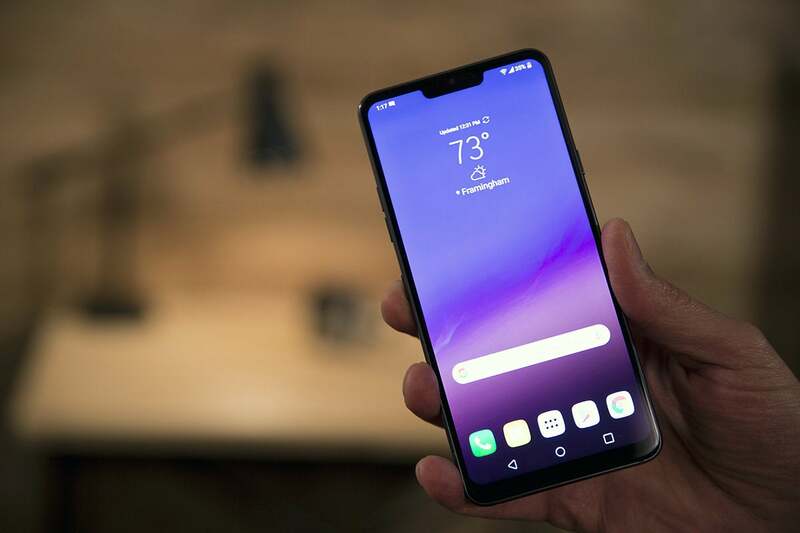 While it’s technically a successor to the V30 and V30S, with a notched screen and all-glass design, it’s as much a follow-up the six-month-old G7. And that’s a good thing. The G7 wasn’t a bad phone by any stretch, but it was a boring one. The V40 is a party by comparison. If you liked the G7 you’ll love the V40. It’s also got a Quad DAC, IP68 water resistance, wireless charging, a Google Assistant button, and the eye-rolling “new second screen,” which is really just a way to hide the notch with a black bar. Because LG has gone back to OLED with the V40, however, the second screen looks a heck of a lot better on the V40 than it does on the G7. The three cameras on the V40 work independently or together—your choice. Speaking of that OLED screen, LG has finally nailed it. I wasn’t impressed with the LG’s first OLED on the V30 and was equally disappointed with the dull display it supplied for the Google Pixel 2XL, but the V40 is nothing short of excellent. Even without diving into the color settings, the V40 produced rich colors and deep blacks, which makes the notch practically invisible when the second screen is turned on. That just isn’t the case with the G7’s LCD screen. Speaking of the notch, there are now two cameras inside of it: a 5MP wide-angle lens and an 8MP standard one. There’s just a 10-degree field of view difference between them (80 degrees versus 90 degrees), but it makes a big difference when trying to cram a bunch of people into a selfie. Also, you can take true portrait shots with the front camera now, where the G7 relied on computational blurring. 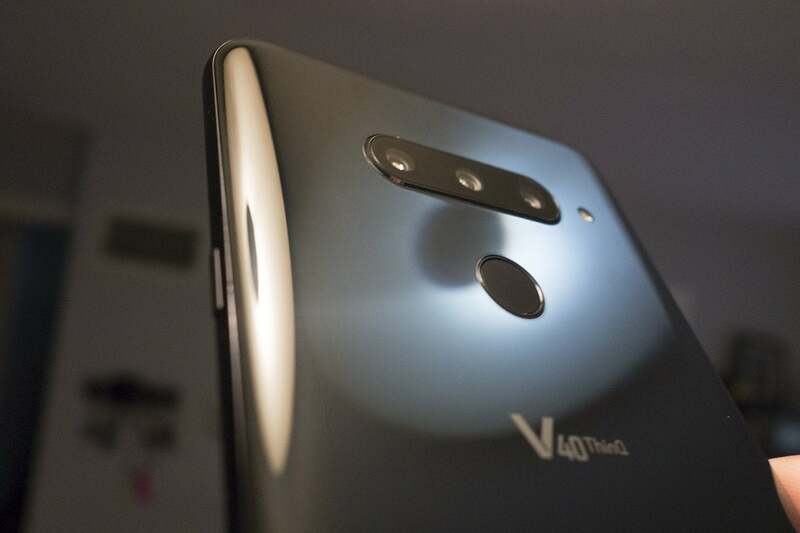 When rumors began swirling about the V40’s triple-camera system, I’ll admit I was skeptical. Smartphone makers are all desperately trying to make their phones stand out as we wait for the next big breakthrough. A third camera probably seemed like an easy way for the LG V40 to get some attention. But when Huawei released its tri-camera P20, it seemed like overkill to me. Sure, it took awesome photos with its 40MP main lens, 20MP monochrome lens, and 8MP zoom lens, but people aren’t buying phones to replace DSLRs or take artsy Ansel Adams-style landscapes. Most people just want to be able to do cool things with their cameras, and they don’t care about megapixels. LG took a smarter route with the V40’s three cameras. Each of its three cameras performs a different function, and you can access them all separately while taking a picture. Like the wide-angle lens on the G7, you can switch among them with just a tap, or you can see all three at once by tapping and holding on one of the icons. That’s something people are going to care about. At its best LG walked a fine line between consumer-focused and enthusiast-friendly. The V40 is a return to LG’s heyday with a phone that’s powerful and, more importantly, fun. Check out my LG V40 video above or on PCWorld’s YouTube channel, where you can also subscribe or leave your comments.